Our mission is for you to help us, the Alpha Tau Omega Fraternity, raise money to buy ingredients for sandwiches and buy bottles of water in order to give the homeless in Washington, D.C. something to eat and drink. We will be going to D.C. on Saturday, November 10, but will buy the materials needed on Thursday the 8th. Although to us a sandwich may be a simple food item, to them it will be far more meaningful. As we continue or community service efforts, we will transition in the near future to giving away blankets and sleeping bags in order for them to stay warm. Thank you for any amount you decide to donate. This past Saturday went flawlessly and we ended up passing out around 70 lunch bags to homeless people in and around Dupont circle, China Town, and Franklin Square. The brothers who helped hand them out were all really proud of our efforts and want to come out to do more. A lot of the the homeless were asking for hats, socks and blankets so next time we will use the money raised to acquire these items. Thank you to all who donated and we look forward to doing this again. 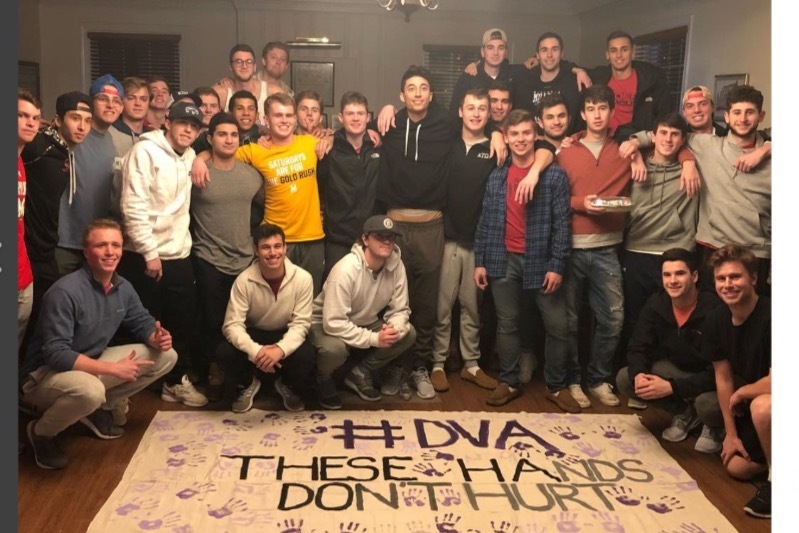 Here is our Fraternity's Instagram page with pictures of our efforts. Yesterday Alec Perez, a recently graduated student in our fraternity and I went to the grocery store to buy the food and water needed for the lunches. Today we brought some of the brothers in our fraternity together in order to make the sandwiches and pack the lunches that included a banana, peanut butter crackers, a ham or turkey and cheese sandwich, two bottles of water and a bag of chips. We are all very proud of our work so far and managed to make around 70 lunches for the homeless. We are scheduled to go to Washington D.C. tomorrow and distribute all of the lunches to the homeless people on the streets. We will keep all of you updated on how it goes tomorrow and we look forward to bringing smiles to the faces of the less fortunate.